Born in Uzhgorod in Austrian-Hungarian Imperia, later Ukraine. 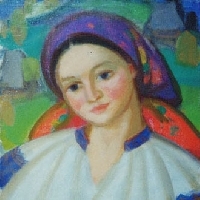 Merited Artist of the Ukraine (from 1971). 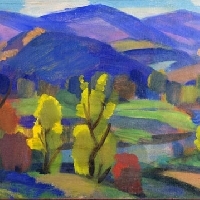 Studied at the Uzhgorod School of Painting (1927-31), studied painting under famous artist A.M.Erdeli. Studied in Rome Academy of Arts (1940-42) under F. Ferrazzi. Also in the Academy of Arts in Budapest, Hungary (1947-49). 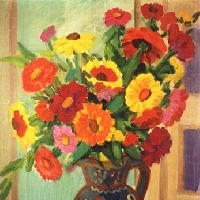 Specialised in portraits, still-lifes and landscapes. 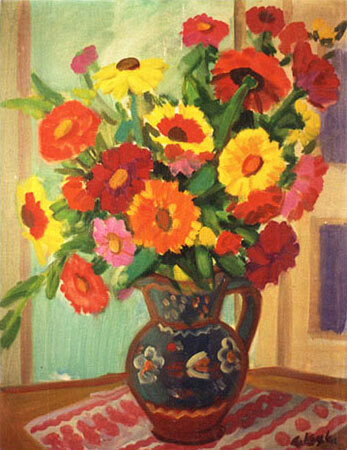 Exhibited extensively throughout Soviet Union and abroad. His paintings hang in most prestigious Ukrainian and Russian Museums.